The first thing I have to do when I’m working with one of my clients is to help them decide which dating site best suits their personal needs. If you’re new to online dating, it can be overwhelming. Joining the wrong dating site could mean not being able to find the types of people you want to meet and being overwhelmed by tons of the people you don’t want to meet. Right now, most dating sites and apps break down into two main categories: Traditional Dating Sites and Swipe Apps. We are going to talk about the big differences between the two categories by taking a quick look at how two of the industry leaders differ from each other. The two sites/ apps we’ll be looking at are Match.com and Tinder. Both can be great options, but as you’ll see, they are each designed for a specific purpose and aimed at a specific demographic. Interestingly, Match.com and Tinder are also both owned by the same parent company. Depending on your age, different dating options might suit you better than others. It’s best to choose a dating option where you have the biggest compatible peer group. 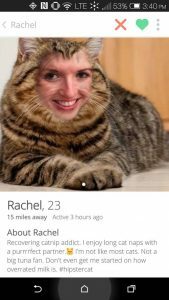 – Tinder is exclusively available in an app format and has been designed to be experienced like a game. It is also possible to have a complete Tinder experience without ever having to spend a single penny. This format attracts a much younger user. According to One study, more than 50% of Tinder’s users were in the college age group, while another study has previously tracked more than 80% of the app’s users to be between the ages of 16-34. – Match.com is a dating site which can also be accessed through an app. It follows the traditional profile and search format that has become the industry standard for dating sites over the last couple of decades. They also require a paid subscription before you can communicate with other users. This format tends to attract relationship-driven singles that have had a little more life experience. According to one analysis, the biggest age group for Match.com is 25-44, with their second biggest age group being 45-64. How Does The Site/ App Experience Differ? – Tinder exists only on your phone. When you log in, you are presented with an image of a member who fits the basic preferences (gender/ age/ distance) you have established. If you are interested in them, you would swipe their photo towards the right side of your screen. If you are not interested in them, you swipe left to remove them from your dating pool. If you want to see more than the photo, you can tap on the corner of the image to expand out the rest of their profile. There, you will see the rest of their photos, their age, location, a 1-3 sentence bio (if they have filled it out), and links to their Spotify and Instagram accounts. If the person you swiped right on has also swiped right on you, Tinder will inform you that there is a match. This notification allows you to then communicate with them through a chat window. If they have swiped left on you, there will be no opportunity for you to communicate with them. – Match.com exists as both a website and an app, though some studies suggest that nearly 75% of all dating traffic is now happening on the phone or tablet instead of on computers. When you log in, you are presented with a few potential matches that have been selected by the site’s algorithm. The site also offers a detailed search that allows you to narrow your potential dates by criteria that include body type, height, race, religion, smoking and drinking habits, relationship status, and more. When you run your search you are presented with the complete listing of everyone who fits your criteria within the distance limits that you have specified. 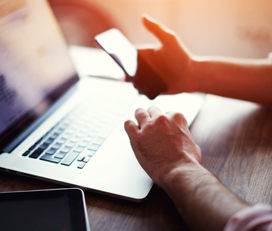 A typical profile includes 3-5 photos, a 1-3 paragraph bio, and several ancillary sections about interests. When you find someone that interests you, you can send them a message (providing that you are a paying member). If they are also a paying member, and they are interested in you, they will respond. Most Match.com subscription plans include the ability to see if/when someone has read a message that you have sent. – Tinder is designed to feel like a video game. The swiping motion is designed for impulse-driven choices that are based on attraction. Little attention is paid to a written description, leaving the photos to be the determining factor of interest. This type of design is not created for meaningful connections. It’s designed for finding a date, having a great time, and for bored people who just want to see how much attention they can attract. While there has been an increasing number of relationship seekers joining Tinder and similar apps (Bumble, Hinge, Coffee Meets Bagel), There are also some reports that have found more than 40% of Tinder users to be currently in a relationship. – Match.com is a more involved experience that requires users to create a profile and only allows communication with other members after paying for a subscription (around $20 per month). While there is a segment of the members who are looking for a fling, the most popular reason for joining is to find a date and hopefully a serious relationship. It’s important to know that neither of these options is bad, just that one might be better for you than the other. It’s also important to consider that Match was picked because it is a leader in the category of traditional dating sites and Tinder is the leader in swipe style dating apps. Additional sites that lean towards a similar experience to Match include POF, OkCupid, Zoosk, Ourtime, and eHarmony. 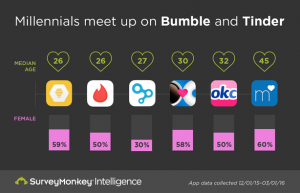 Apps that offer similar experiences to Tinder include Bumble, Hinge, and Coffee Meets Bagel. Each site and app have special features that make them unique, but this article gives you the basics of what to expect in the category as a whole. That being said, the following summary should help clear up which site or app is best for you, based on what you are hoping to achieve with online dating. Contacting other members: There is no charge to contact other members, but they must also swipe right on your profile. The primary mode of contact between members is text chat. Average Intent: The app is designed for people who are focused on meeting someone as soon as possible for a date and a fun night out. The focus is not on creating a lasting relationship, but it is possible to find one. Cost: Free to browse, Approximately $20 per month to subscribe. Search: A detailed search that allows you to narrow your results to only the criteria of interest to you. Contacting other members: Only paying members can contact other members. The primary form of contact is Match.com internal message center. Average Intent: Match designed their experience for people seeking a relationship. While there are some members that are just looking for a fling, the vast majority of singles on the site are looking for love. I hope this gives you a better idea of the two most popular styles of online dating. 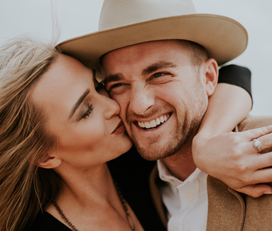 Hopefully, you now have a better idea of the type of dating experience you are looking for and what relationship goal you are hoping to achieve. 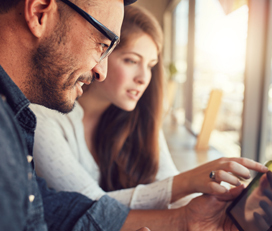 If you need a little more help figuring it out and getting started on the right foot, give me a call (Eric) at 1-888-447-7634, or check out our services to see how we can help you take control of your online dating life.